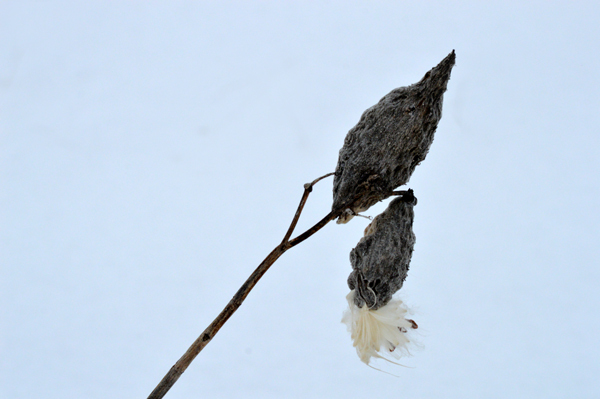 Frozen in the field, the milkweed holds onto last season’s seeds. Perhaps as it warms in the spring, it will let them go. 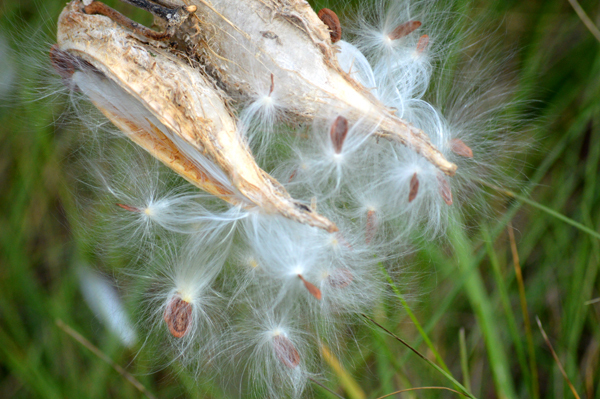 Beautiful milkweed seeds are starting to fly away. 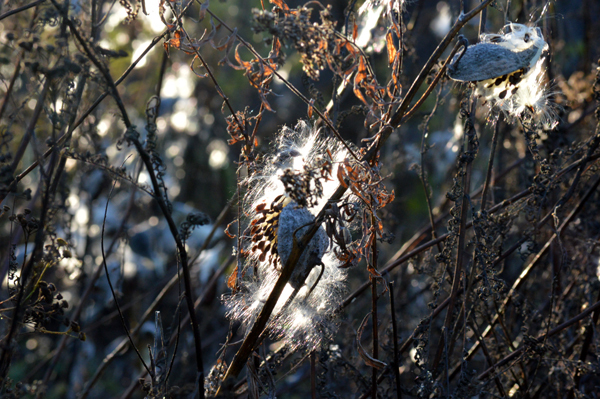 Backlit milkweed commands attention in the fall field. 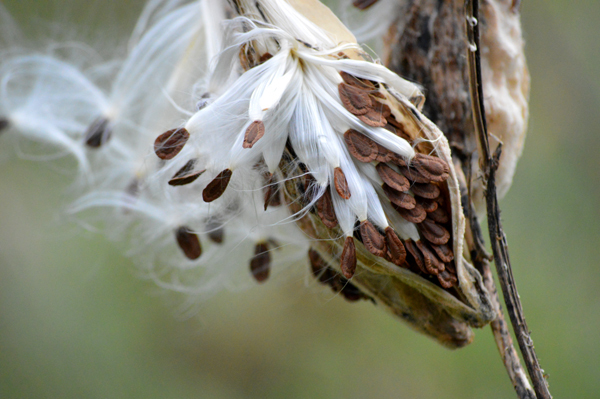 Milkweed burst to spread seeds for more plants to sustain Monarch butterflies. Waking up to a beautiful fall morning. 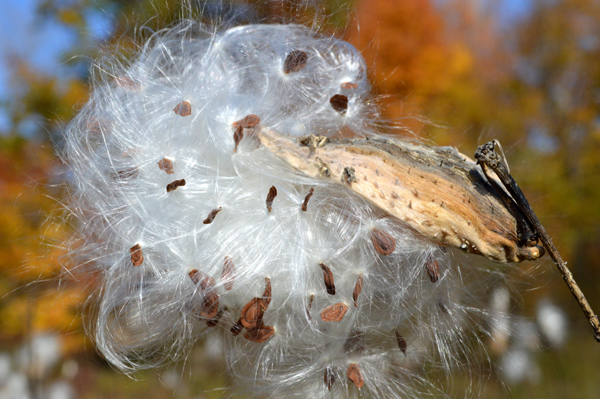 Sunny and warmer, the milkweed spreads its light. 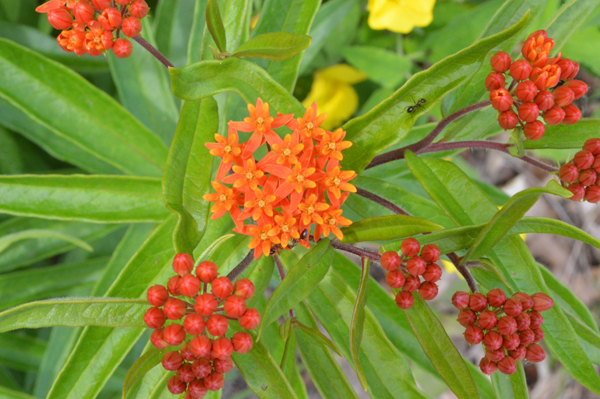 I’ve discovered this striking flower in the garden at work, Butterfly Weed – a perennial in the milkweed family native to eastern North America. Butterflies of course love this flower but so do the ants. 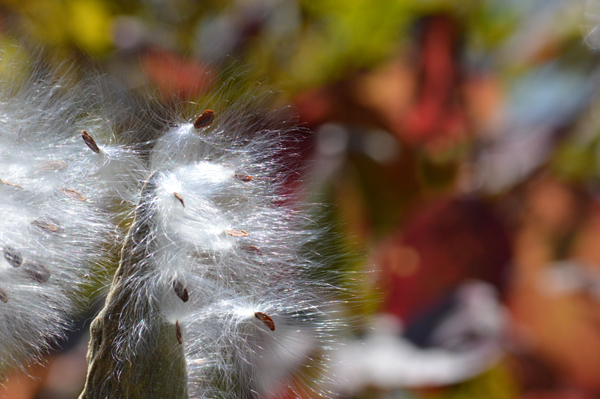 A burst of wishes for the Monarchs.